Hitting the airwaves on Saturday nights from 7-8PM, the newest addition to the Irish-American radio scene, “The Houli’s Hooley”, debuts on Saturday November 1st on WSBC 1240 AM and WCFJ 1470 AM. 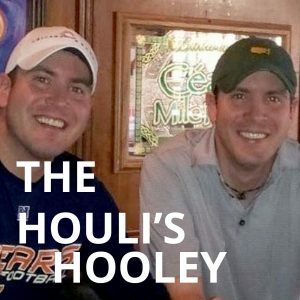 Join the Hooley with Bill and Paddy Houlihan every Saturday night with news, guests, music, comedy, and a preview of the weekend for Chicagoland’s Young Irish community. Twin brothers Bill and Paddy Houlihan have worked with their mom and dad for over a decade on films and stage shows as producers and performers. They helped put together and create characters in the live sketch comedy show TAPIOCA, which eventually became an indie cult classic film on the festival circuit, was broadcast on WTTW, and won “Best Feature Film” at the Geneva Film Festival. 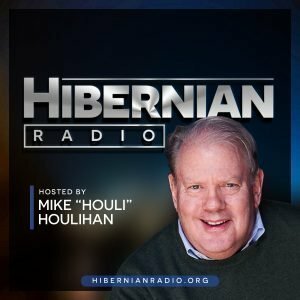 The Houli’s Hooley is part of a rollout of new projects slated over the next year for Hibernian Transmedia NFP, a new producing organization formed by Irish American News columnist Mike Houlihan and his family. 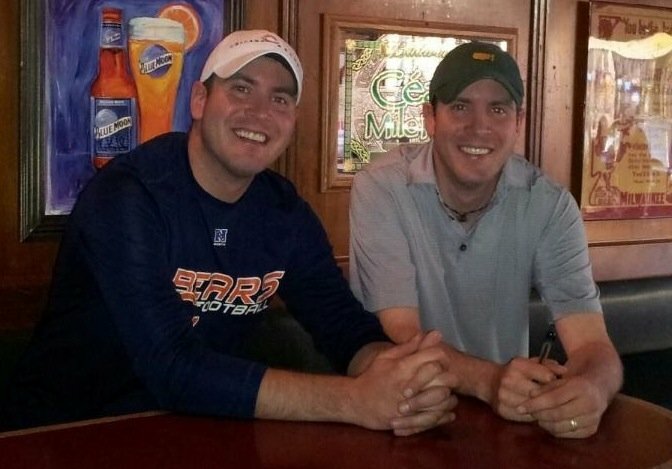 In addition to producing The Skinny & Houli Irish Hour on WCEV 1450 AM and FreeCraic.com, a web blog for Citizens Reporting American Irish Culture, the Houlihans are also in talks for a series of new documentary films and an Irish-American Cinema & Comedy Festival in the fall of 2015. The Houlihan family has been telling stories collectively for almost a century. Mike started his professional career as an actor in Stratford, CT with The American Shakespeare Theatre in 1973. He met his wife, Mary Carney, in a production of All’s Well That Ends Well at the Folger Shakespeare Theatre in Washington DC in 1976. Mary was starring in “Ryan’s Hope” on ABC when they married in 1978. Two years later along came sons Bill and Paddy. Their careers have traversed regional theatre, Broadway, major motion pictures, network and public TV, newspaper columns, radio and recently stand-up comedy, community web blogs and indie filmmaking. Through it all they have especially delighted audiences with performances that trumpet their pride in their heritage and their faith. As members of the Irish Diaspora and artists working in a variety of media they now come together professionally as Hibernian Transmedia NFP. Hibernian Transmedia NFP provides a platform to present, produce, and create educational content that promotes and preserves Irish and Irish-American culture through film, TV, radio, theatre, literature, and the Internet. Hibernian Transmedia NFP is a 501c3 public charity, and all contributions are tax deductible under Internal Revenue Code Section 170. To learn more about the radio shows and future projects, visit the website HERE! And don’t forget to tune in every Saturday night from 7-8PM on WSBC 1240 AM and WCFJ 1470 AM for The Hooley!